Grab this FREE Book NOW! Amazon U.S. & Amazon U.K.
Are you looking to get started on Google Plus? 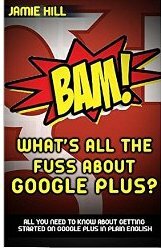 Pretty much everyone has used Google to search the internet but have you used Google Plus yet? Google Plus is an amazing platform to share and discover new and exciting information, with over 300 million people actively using the platform every month. Are you one of these users? If not, why not? And lots more including 15 bonus tips! So what are you waiting for? Get started on Google Plus today and come and say hi! An ebook with informative and quality information should not be expensive so the reader always receives a great deal. Many so called experts charge so much and yet provide so little. 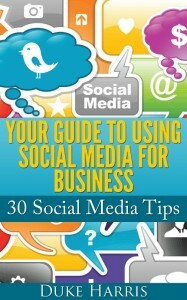 Are you new to Social Media for Business? 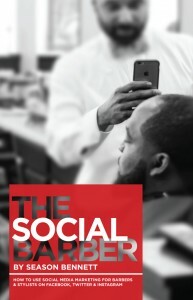 In this fantastic guide Duke Harris, one of the leading Social Media consultants on the planet, has given a spectacular plan for anyone looking to set up in Social Media for their business. It can seem quite a daunting task if you’re a bit of a beginner to Social Media, but Duke’s 30 tips will set you off to getting your business and brand noticed in the noisy world of Social Media. 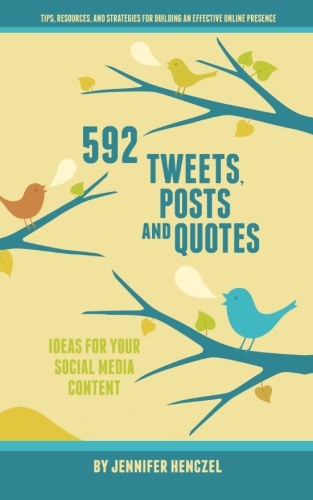 It’s not just 30 tips however, it’s pages of golden information about each of the major Social Networks for you to fill your brain with so that you can utilize them to your advantage. Whether you know everything or nothing about social media, this book will motivate you to get excited about your marketing again. The focus of this text is to assist those who want to benefit from the full potential of social media to promote themselves, their business, or organization. It is packed with ideas for generating goodwill and credibility. Get ready to learn how to successfully engage others and build an effective online presence. Receive strategies for consistently staying positive in your tone and content. Building an effective online presence, building messages, building relationships, building branding, and building business.